When Hunter unlocks his magic he learns he has the power over fire. There are some interesting and comical scenes in Vampire Princess Rising where he is learning to use his powers. See what happens when he accidentally launches a fireball toward Rebecca in this excerpt below. “There you are.” Jackson met her on the way back from her run. He must have decided to get in some morning exercise too. Rebecca shook her head and wiped the perspiration from her forehead as she tried to steady her breath. “No need to apologize. You did nothing wrong. It’s your dad that needs to apologize to you.” She grinned as she felt her body continue the cool down process. Every cell, nerve, and fiber of her body was electrified, pulsating with energy from the adrenaline that pumped in her veins. There was nothing like the natural high a person got after running, any exercise for that matter. When she ran she felt exhilarated, pain didn’t exist. But when she stopped her body let her know just how much it appreciated and didn’t appreciate how hard she pushed it. “Sure.” Rebecca jogged back to the main house with Jackson. They shared stories from their childhood. He wished her a happy birthday and hoped Savannah would make the party. The conversation was light and easy, the way it used to be before all the supernatural drama entered her life. “A pack of wild wolves couldn’t keep me away.” He laughed at his pun. Rebecca rolled her eyes and opened the door to the house. She needed to freshen up, grab her keys and head over to Lucky’s house. The warmth hit her skin first, blowing her hair back. She didn’t think, she just reacted as she raised her hand and squeezed the oxygen out of the room. The fire ball that was heading her direction disappeared inches before her face as everyone in the room, including her brother Hunter collapsed to the ground, gasping for air. Jackson was behind her, unaffected by the spell she unwittingly cast. She started gasping for air as her knees gave out. “Release your hand, Rebecca.” Jackson urged her. She barely heard his voice but was thankful when it reached her oxygen deprived brain. It made sense, she released her clenched hand and a rush of air entered the room, revitalizing everyone in the process. Get into the series now before book three is released in a couple of months. 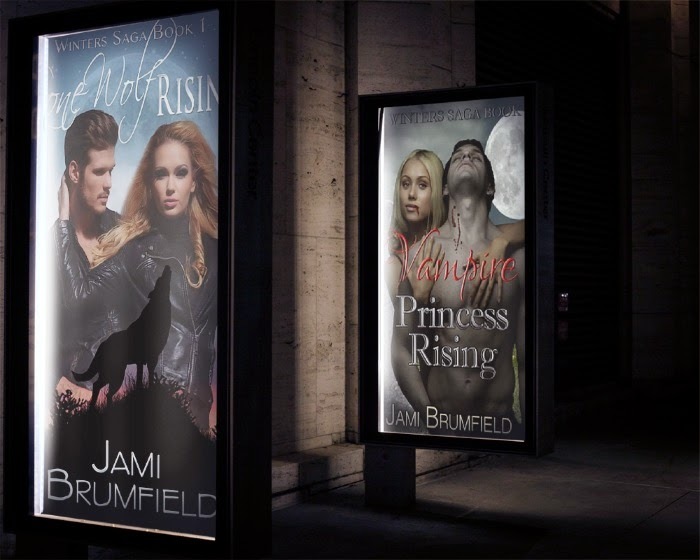 Lone Wolf Rising book one and Vampire Princess Rising book two. Why do I write paranormal?